We offer simplified IT security solutions to optimize and manage your security infrastructure. From desktop to network to cloud, Primaxis managed security services has everything covered. Cyber security should be seen not as a constraint but as an enabler, giving organisations the freedom to explore and create. Read how our Primaxis managed security solutions and services can reduce your risk while expanding your capabilities. Discover how easy it is to use cognitive insights to help manage and secure devices for business use, separate work and personal data, distribute apps and content, and control network access. Safeguards sensitive data using automated discovery, classification, monitoring and cognitive analytics. Primaxis specialises in endpoint security solutions and services, with extensive experience and skill sets for the IBM BigFix platform. Flexible and integrated IBM QRadar deployment is served with a spectrum of cloud, on premise, S O C optimisation and managed services options that you can select to fit your environment. With X-Force Incident Response Services, IBM experts proactively hunt and respond to threats, and apply the latest threat intelligence before breaches occur. Manage critical security incidents, eradicate threats and minimise business disruptions. 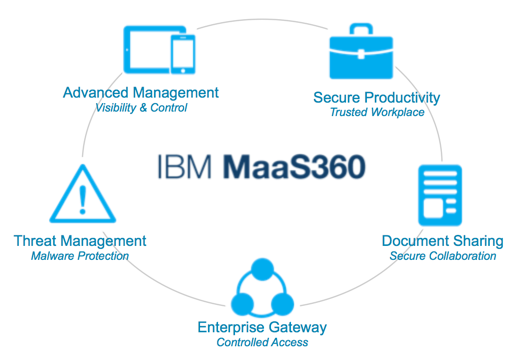 Dramatic administrative efficiencies through MaaS360 with Watson self-discovery (attack awareness/investigation, advance upgrade notice, and faster decision making/remediation). 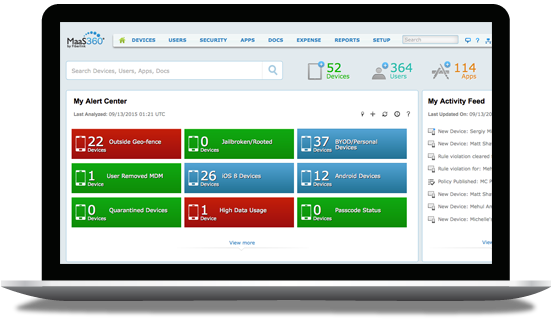 Full mobility coverage – device management, application security and content security. Simple deployment for all major smartphone/tablet operating system including Apple iOS, Google Android, as well as Microsoft Windows 7/8/10 and macOS clients (for years, clients have reported on MaaS360 deployment ease to Gartner). Synchronization with Cloud Identity Connect delivers IAM value (SSO, MFA, etc.) and enables new cloud service rollout in minutes rather than days/weeks. Collaboration/containerization (workspace isolation) capabilities . True multi-tenant cloud platform – scale ranges 10s to 100,000s of devices. Seamless integration with clients’ existing infrastructure, without a need for on-premises servers or network configurations. Built-in Mobile Threat Management capabilities. 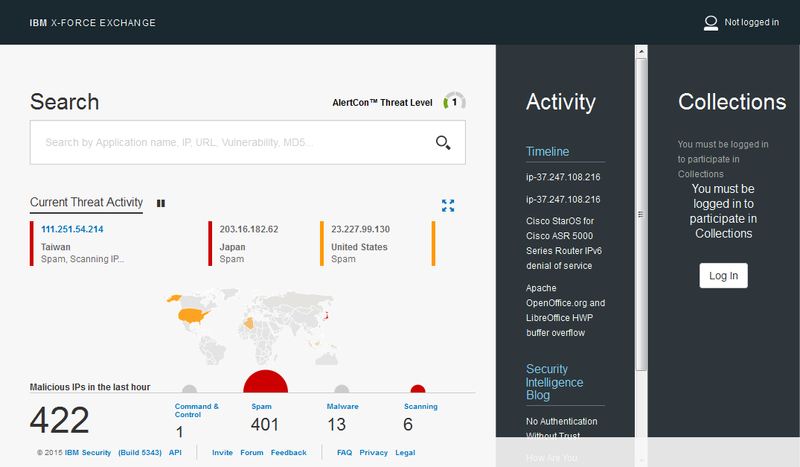 Dashboard cited by customers to Gartner as providing useful insights (policy violations, associated vulnerabilities). Comes with industry-acclaimed customer experience. Simplify and secure the management of your mobile fleet and desktops with IBM’s Cognitive Unified Endpoint Management. 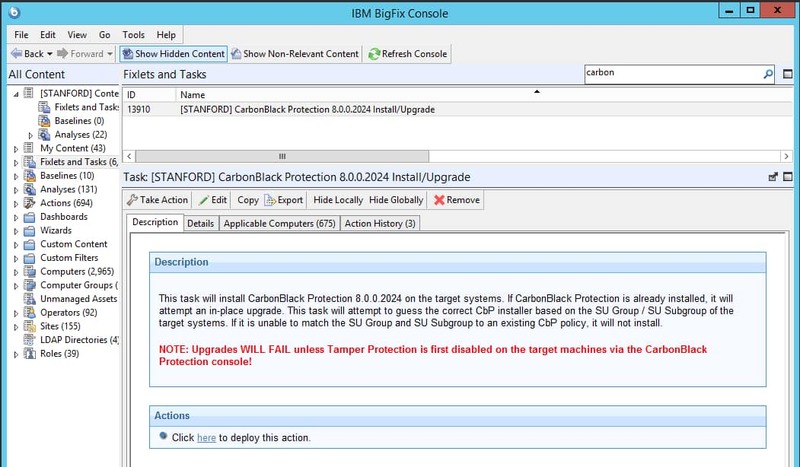 Add new devices quickly with an easy provision for apps and policies without IT involvement. Configure MDM policies for device restrictions, layout, settings access, notifications and more. These can be assigned based on OS or ownership type (BYO or corporate-owned). At Primaxis we have developed broad-based acumen in planning and deploying IBM’s market-leading Maas360 UEM solution, which gives you visibility and control of iOS, macOS, Android, and Windows devices from one unified cloud platform. Experience the compliance features and security with instant access to our free 30-day trial Maas360 platform. Ease of managing devices through a single portal. Whether you’re safeguarding valuable intellectual property, client information or simply your office files, a publicised security breach can permanently damage a business reputation. Or worse yet, cause it to go out of business amongst a mess of litigation. Support your entire data protection journey with IBM vulnerability assessment infrastructure and approach. IBM Security Guardium helps ensure the security, privacy, and integrity of your critical data across a full range of environments—from databases to big data, cloud, file systems and more. At Primaxis we make it a point to keep one step ahead of the latest advances in Vulnerability Assessment, and continually upgrade our services to be able to offer Guardium Vulnerability Assessment tools and features to our clients. Configuration Audit System – monitors changes at the Operating system level that can expose your database to attack. Primaxis is an IBM Business Partner that specializes in endpoint security solutions and services, with extensive experience and skillsets for the IBM BigFix platform. We follow a proven, time-tested methodology to discover what you have today, the gaps that need to be filled, and how to close those gaps. If we realize that your current security tool investments don’t close the gaps, we will help create the right strategy for your unique business needs. Keep remote servers and internet-facing endpoints updated, secure, and always properly configure. 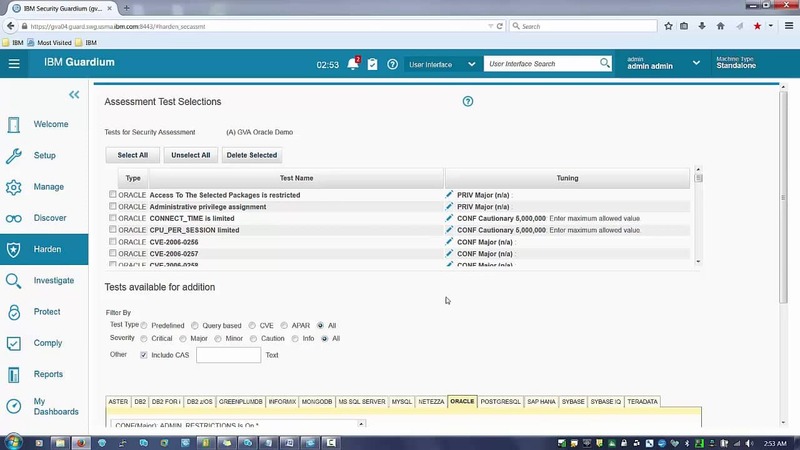 IBM QRadar SIEM detects anomalies, uncovers advanced threats and removes false positives. It consolidates log events and network flow data from thousands of devices, endpoints, and applications distributed throughout a network. 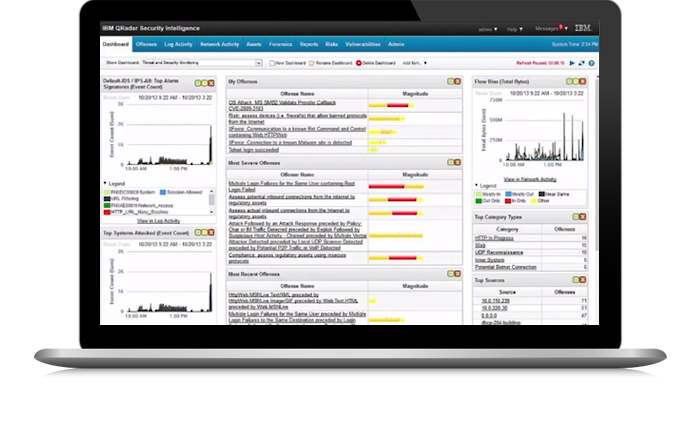 Primaxis offers deployment and fine tuning of IBM QRadar SIEM for organizations worldwide. Cybersecurity and incident breaches are inevitable, and the risks rise every day. Many organisations are in a constant state of a breach. To address this business problem, IBM® Security has created the IBM X-Force® Incident Response and Intelligence Services (IRIS) team of skilled professionals to help you proactively fortify your organisations against today’s evolving global threat landscape. With Primaxis security experts, have a flexible design to suit your business needs. whether that's helping you to install, configure and tune your solution so you can drive it, or managing a complete program for you, so you can focus on your business. We are the experts in automation. With Primaxis managed services, you get a real-time view into the status of your programs, access to all your managed services, and you can make support requests, see event history, run reports and manage your account, all through one easy-to-use dashboard. Our analysts and engineers offer you the most advanced expertise and insight available today. Our managed security services perform threat research and analysis that can help you better understand, detect and prevent security breaches.